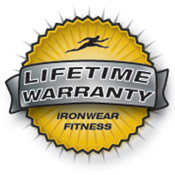 Uni-Shoe Irons® is the latest new model of Ironwear's® revolutionary exercise tool. Uni-Shoe Irons® use IRONWEAR® Flex-metal® technology to produce the newest truly useable shoe weights. Uni-Shoe Irons® uses soft flexible ½ pound Flex-metal® weights that conform to the shape of the shoe and are held securely in place by a proprietary strapping system. Uni-Shoe Irons® have an over lapping heel strap to secure firmly on shoes from men size 6 to 15. Uni-Shoe Irons® have a new replaceable sole strap which can be adjusted for a wide variety of shoe styles and can be easily replaced it it becomes wore or damaged. 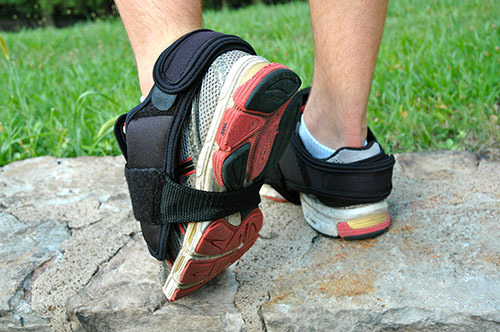 Uni-Shoe Irons® are more comfortable than ankle weights. The unique design produces weights that stay in place even during rigorous exercise. 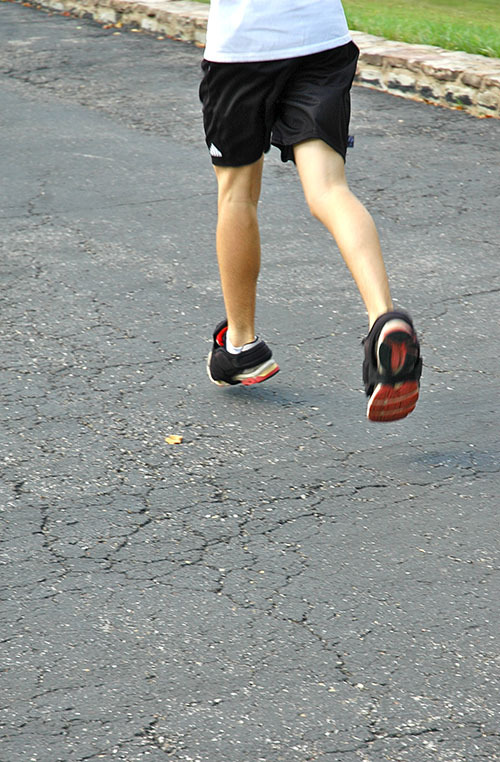 Unlike ankle weights, Uni-Shoe Irons® do not chafe, inhibit or interfere with your movement. Uni-Shoe Irons® position the weight further from the knee and hip so less weight is required for the same effect. 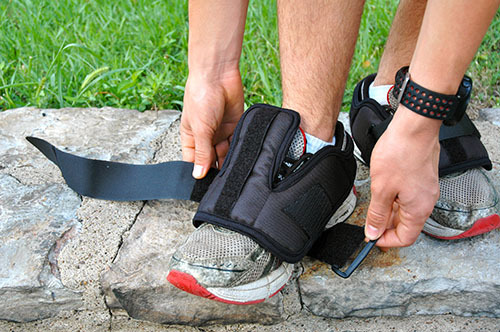 For example a 1.5 pound Shoe Iron ™ is equivalent to a 2.5 to 5 pound ankle weight for many exercises. Uni-Shoe Irons® are great for stairs, lifts, walking, as well as jump and speed training. No other weight can be used for more exercises or do what this weight can. Uni-Shoe Irons® fit most adult shoe sizes from size 5/6 up to size 14/15. 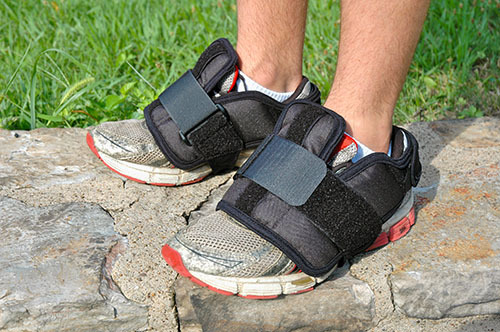 Simply loosen the strap and slide it over your shoe and tighten the oversized securing strap and you are ready to go. Uni-Shoe Irons® are adjustable in ½ pound increments from ½ to 3 pounds per foot and are supplied with 3 - 1/2 pounds weights (1.5 pounds) per foot. Additional weights may be purchased separately. Uni-Shoe Irons® are constructed of ballistic nylon fabric covered neoprene and are the most durable Shoe Irons® Ironwear® makes. Available in black.